Is Affiliate Bootcamp a Scam? Or the Kickass Training You Need! You want to know is Affiliate Bootcamp a scam? Probably best to make sure we are talking about the same Affiliate Bootcamp right from the get go then. 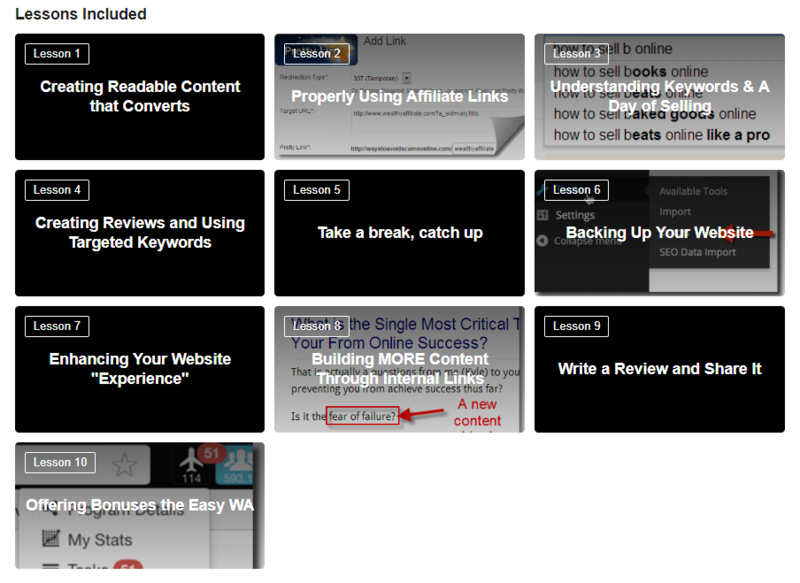 I will be providing an in depth review of Wealthy Affiliate’s Affiliate Bootcamp training - well that was as mouthful. So if this isn’t what you thought it was then my apologies, but if you want to make some serious money online then stick with me and I'll show you an affiliate program and the training that goes with it that can help you get there. I have been a member at Wealthy Affiliate since early 2018 and I can categorically say this is the best Affiliate Bootcamp training that you will find anywhere on the interwebz. Yes I am a part of their affiliate program and yes I would make a commission if you sign up as a Premium member. But that’s not why I want to tell you about their Affiliate Bootcamp training. I have chosen to be an affiliate because it is the best platform around, I have chosen to stay with Wealthy Affiliate because I have done the training and know how good it is and I believe in the product and the service it delivers. That’s why I am so passionate about promoting what they offer and having you join me - it is simply the best you will find anywhere. OK now that’s out of the way let me show you why I think you should join. It's a pretty thorough review so if you are after some specific information you can use the Quick Guide below to jump to specific aspects of the Affiliate Bootcamp or the Affiliate Program. Affiliate Bootcamp is the Wealthy Affiliate (WA) training stream for those who wish to build a website showing people how they can make money online and includes how to promote the Wealthy Affiliate platform as a component of that training. You can work with thousands of other affiliate partners, you are not limited to promoting just WA. In fact the training encourages you to work with as many partners as you need. Those who go through the Bootcamp training are earning money by promoting all sorts of products and services within the make money online space. Things like software packages, premium themes, hosting platforms, their own digital products, specific training programs etc.. 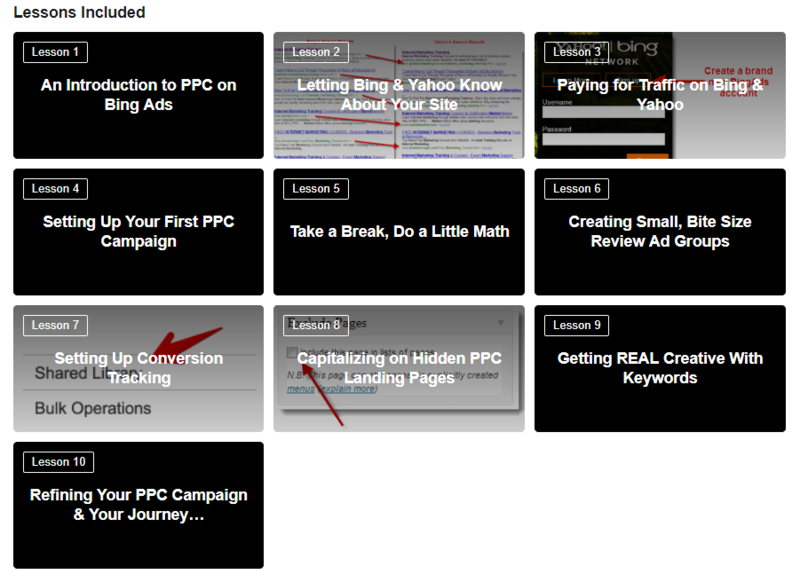 This is complete training designed for beginners through to experienced marketers. 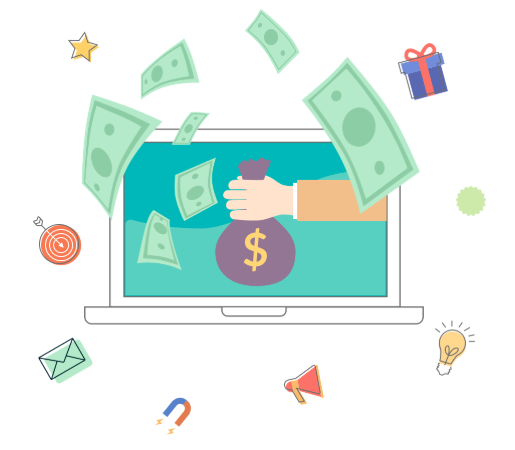 If you are a newbie as a part of it you will be creating and building out your affiliate marketing website which is the vehicle for you to make some serious cash online. If you are an experienced marketer there are lessons which will increase your conversion rates and show you how to scale your business so you can start to make the big dollars you are looking for. I will cover the actual WA affiliate program that you would be a part of, if you choose to be, later in this blog but first let me show you the lessons within the Affiliate Bootcamp training. The training consists of 7 level with 10 lessons within each level covering every aspect of building an affiliate marketing website. Truly this is the most comprehensive training you will find anywhere on how to be a successful affiliate marketer. Wealthy Affiliate is built by affiliates for affiliates. They want you to succeed and have provided the most thorough training to ensure you do. If you win, they win - it’s as simple as that. If you are a happy member who is making money then you will stay as a member - which is good for them. The more WA affiliate sales you make, the more money you make, and the more members they have signed up - good for everyone. So you see it is in their best interest to show you everything you need to be successful and they don’t hold back in this department. If you are the go-getter type and want to check it out for yourself right now click on the button below and get your FREE starter membership so you can get stuck into the Bootcamp training right away. 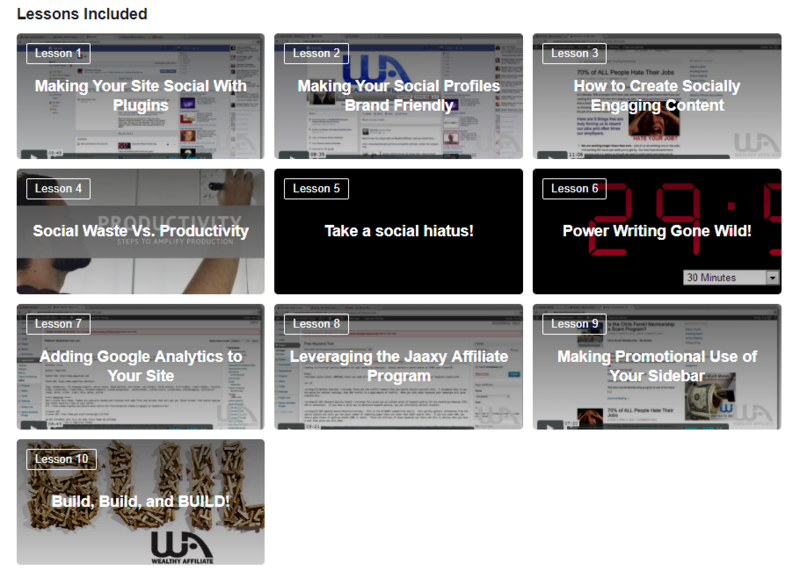 OK for those who are left reading this blog let's check out the lessons you get as part of the Affiliate Bootcamp. You do not need to know one thing about affiliate marketing to start building a profitable make money online website. This is what Level 1 teaches you. You will find out exactly what affiliate marketing is, choose a direction for your business and create your first website. Yep as part of the free first Level training you also get a free website (2 actually) so you can put into practice what you learn throughout the Affiliate training on your very first site. This site is live and has the potential to earn you money right from the get go. You have started your make money online empire right there! Level 1 sets you and your business up for success covering all the basics you need to understand to be able to make an outstanding income through online marketing. 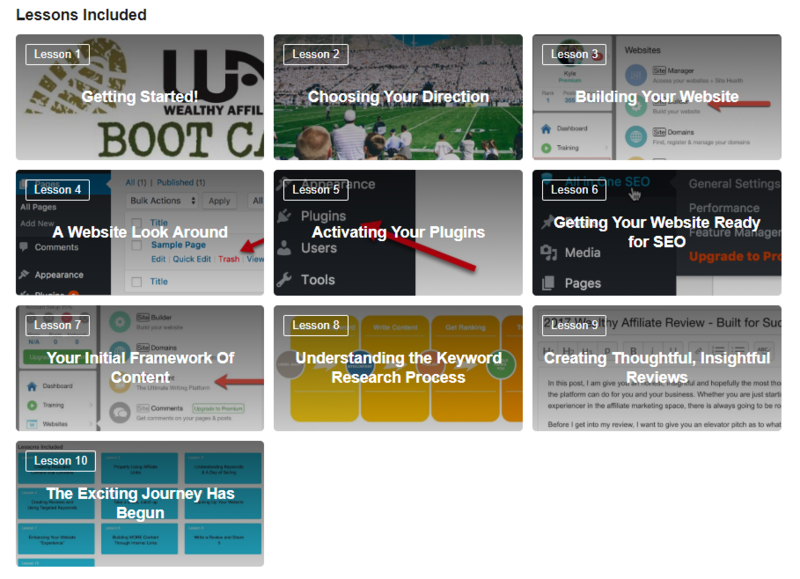 This level is all about creating content for your website. Now not all blog posts are created equal and this training teaches you how to write blogs that convert and make money. You could be blogging for years thinking you are writing good content, and not know that it is actually rubbish which will never make you any sales. With this training you learn the right way and speed up the process of starting to make money through your site. Social media is one of the way you can get visitors to your site for free. This level explains and has you setting up all the social sharing plugins you need to utilise social media to your benefit. You will be getting social, getting more engagement from visitors and and using social media to increase your blogs reach. This level covers what social media platforms you should use, how to create content that is socially shareable and gets you setting up your social media profiles for your business. This level is all about making your site look a million bucks. Your sites appearance does matter, and now that you have content and you are starting to get it circulating you need to spend some time sprucing up the look of your site. This includes use of images, branding, videos and how to use them to your advantage. This is a super thorough level with lots of information on how to increase referral conversions through writing with intent and by including simple, small additions to your content. 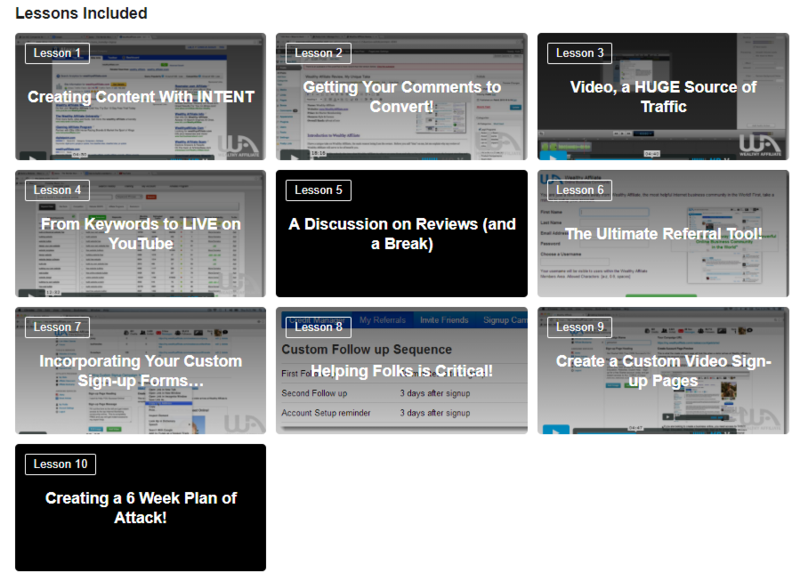 Plus the training explains how to gain comments on your blogs, their value and how to leverage comments for even more referrals. It also introduces Youtube and the creation of videos. This Level delves into the often forgotten search engines of Bing and Yahoo which still carry 30% of the search engine market share and are often times easier to rank on than Google. There is a mountain of easy traffic to be gained from these search engines and here you are taught how to capture that incredible amount of traffic for your website. Now we are setting our sites up for long term success. 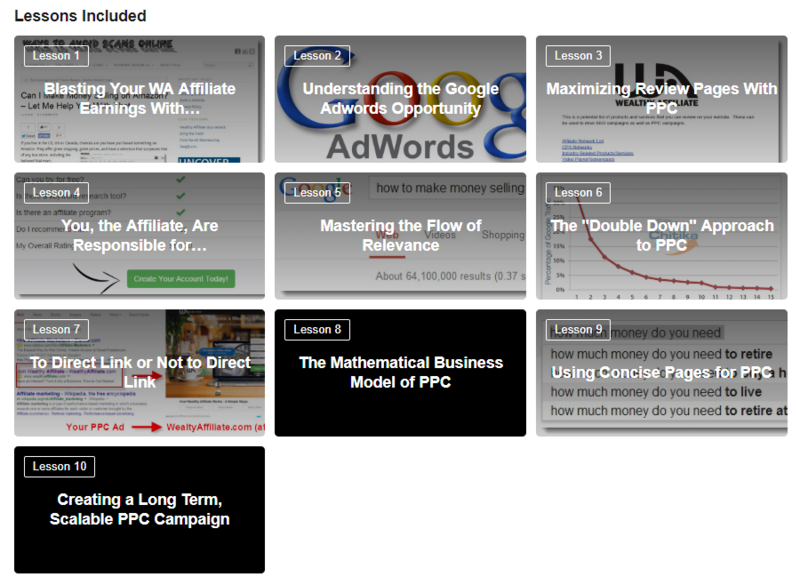 This Level teaches you how to scale up your ad campaigns for massive growth and massive referrals. Now we are talking Google Adwords to really make a substantial income and it's all about scaling your efforts for increased profitability. So as you can see it is super thorough training with everything you need included to make sure you succeed. The training is super current, easy to understand and you can work through the lessons at your own pace. Take as long or as little time as you need. Like I said if you want to build a website to show people how to make money online then this is the training you need. So what will you be marketing? Only the best Affiliate Marketing platform available on the internet today! This review wouldn’t be complete without talking about the affiliate program that you should be a part of. Yes I did say SHOULD because I firmly believe this is an outstanding opportunity for anyone getting into affiliate marketing to make some serious money by promoting Wealthy Affiliate. 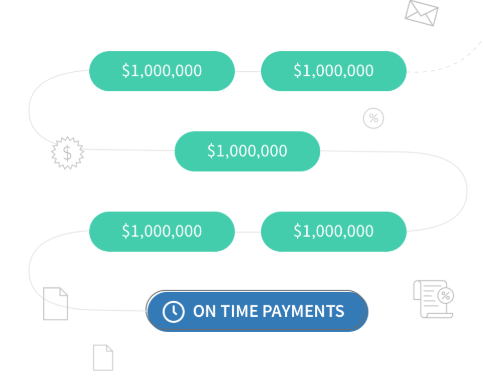 Their affiliate program basically sells itself because it has been built by affiliate marketers for affiliate marketers. The owners know what you need to be successful and they have provided it for you. As part of the affiliate program you get access to all the tools you need to be successful, the web hosting for your site, an industry leading keyword tool included, 24/7 tech support in case things go wrong, a supportive community to help you, weekly webinars for ongoing training, the list goes on. Everything you could need to be successful has been included. Wealthy Affiliate pays out millions of dollars in commissions every year to its affiliates. They can proudly boast to having never missing their monthly payouts ever in their 17 year history. You are guaranteed to be paid your commissions on the 1st of every month. When you refer someone to Wealthy Affiliate they remain your referral for life. You read that right, once they join as a Starter member through your affiliate link they are your referral forever. Wealthy Affiliate offer lifetime cookies so even if someone joins now but then leaves and comes back at any time in the future they will still be your referral, this greatly increasing your chances of recurring commissions. 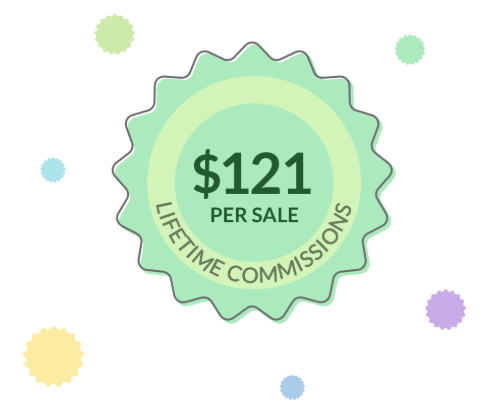 The average commission per sign up to Wealthy Affiliate is $121. The membership options are monthly, 6 monthly or annual so your referrals can choose what suits them best and you get paid a recurring commission as long as they remain a member. Residual income is the lifeblood of affiliate marketers. One off sales are nice but consistent guaranteed monthly income is better. As I mentioned above there is a free Starter membership option also. Which is what I am suggesting you join as to see it all for yourself. Wealthy Affiliate are so confident in what they have to offer that they allow you to join for free for 7 days with all the benefits of being a Premium member. This gives the new member 7 days to really check out every aspect of the platform, to give it a thorough test run, and start building their website and online business. The platform offers so much value that the average conversion rate is 1 in 8 free members upgrading to Premium after the 7 days is up. BUT even if they choose not to they can remain as a free Starter member forever, with their 2 free websites just not with all the benefits of being a Premium member. This means at any time they can upgrade to Premium and they remain as your referral always. People are so use to seeing and being scammed these days that WA offers a breath of fresh air by not constantly asking you for more money for each and every extra tool, or lesson, or webinar. It is all included in the Premium membership. 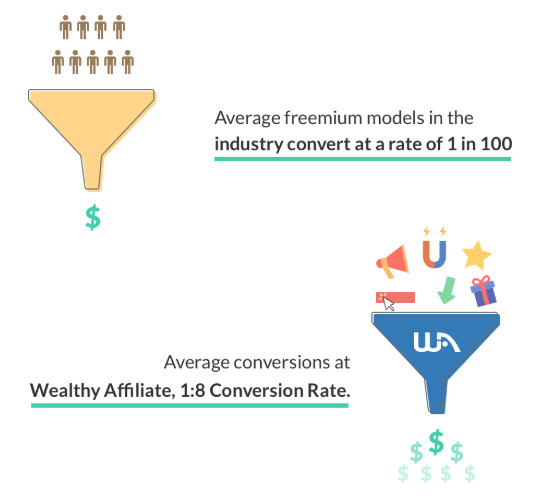 And this is why Wealthy Affiliate converts so well because there are no spammy upsells. You are either a Starter Member (which is really an opportunity to check out the platform) or you are a Premium Member with all the benefits - there is nothing else. I have shown you just the Affiliate Bootcamp training but there is another complete stream of training offered for members who wish to build out a niche website in an area other than making money online. These are the websites where people turn their hobbies into money making businesses. Plus there are a further 12 classrooms with even more training across the areas of website development, understanding WordPress, social media, email marketing, search engine optimisation and more. The weekly webinars are another training opportunity that is provided. Each week WA’s Live Trainer provides a one hour webinar on a particular current topic. This is interactive so you get your questions answered and it is always super relevant and on trend. The WA training produces experts in the field of affiliate marketing and that is why so many WA members can leave their jobs and become full-time bloggers generating much more income than their 9 - 5 jobs could ever provide. Each year WA host their Super-Affiliates at an all expenses paid conference in Las Vegas. This is for the cream of the crop members who have made at least 300 premium referrals in the calendar year. And when I say all expenses paid I mean all expenses. They fly you to Vegas, put you up in a flash suite at the MGM Grand, provide all meals and entertainment and they even give you a little pocket money if you fancy a gamble, well it is Vegas after all! But it’s not all holidaying Wealthy Affiliate use this conferences as an opportunity to hear from their top affiliates about what would make life easier for them, how WA can further improve the platform so their affiliates can generate even more members and make even more income. This is a super group of affiliates who are killing it having sold this very platform I am telling you about now. Many people learn differently and this training combines video with images and the written word as well as giving you specific tasks to complete so no matter how you learn best this training has you covered. You can go back and do each lesson as many times as you like. You can rewatch the video training over and over if you need to. There is no lock out ever. As I said earlier it is in Wealthy Affiliates best interest to train you as thoroughly as possible to promote not only their platform but any other money making opportunities you come across. And they deliver this hands down. 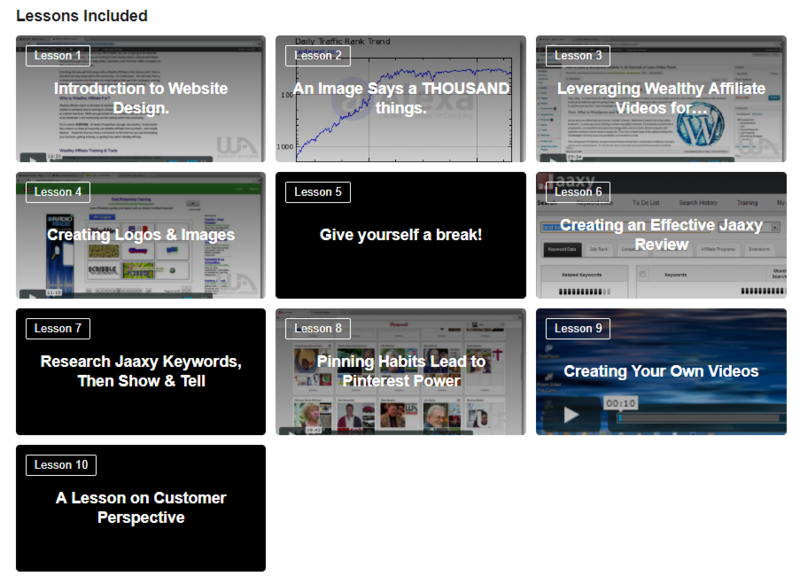 This is the only affiliate bootcamp training you need to be wildly successful. This training is proven with many WA members making over $10,000 each and every month after finishing the Bootcamp training. Wealthy Affiliate has been around, perfecting their training, since 2005 and with over 1.3 million members, it is the most trusted platform on the internet to teach you affiliate marketing. The affiliate program converts at 6 times the industry average, meaning more referrals for you. It converts because the platform is that thorough that it sells itself, it is seriously that good. And they pay one of the highest commissions available, with lifetime cookies and with the monthly membership it all adds up to recurring income for you. This is a solid, reputable company that you will be proud to put your name too, as I am. They believe in themselves so much that they offer for you to join as a Starter Member for free just so you can check it out. This is my invitation for you to join me and make money at Wealthy Affiliate. But as always I don’t expect you to take my word for it - you can sign up as a Starter Member and check out the Affiliate Bootcamp Level 1, all 10 lessons, for free and see if it works for you. You don’t put in your credit card, there is no risk and no cost to check it out, plus no obligation to stay if you decide it’s not for you. So is Affiliate Bootcamp a scam? Not in a million years, it is the only kickass training you need to be successful. Do yourself and your income a favour and check it out. If you have any questions about the Affiliate Bootcamp or the Affiliate Program offered at Wealthy Affiliate or how to make honest, ethical money online then drop me a comment below and I’d be glad to help you out. Previous Post How to Blog and Work Full-Time: 4 Survival Tips for Newbies Next Post What Is My Online Business? A Scam or Make $175 in 5 Mins?